Brian Krebs is a well known security researcher which publishes reports on cyber security issues on his blog. It seems to be that various Twitter accounts on Twitter are tweeting about Brian Krebs in a very negative way. The Twitter accounts which seem to be fake and malicious are spreading text messages on Brian Krebs, claiming that he has been hacked. The Twitter account of the official Brian Krebs is being included in a series of fake messages which are being published by the fake Twitter accounts. 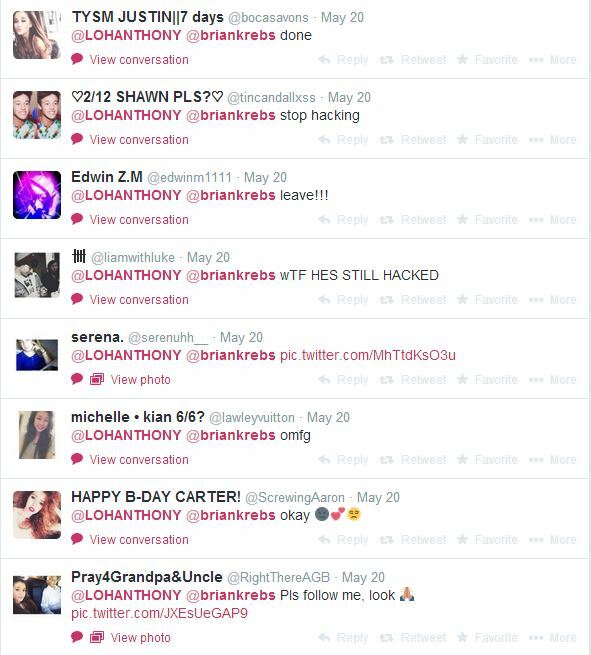 I decided to take a look at the @LOHANTHONY twitter account which seems to include the @briankrebs twitter account each time.